Thomas read (and was read to) a lot as a child, which instilled in him a love of reading and writing. 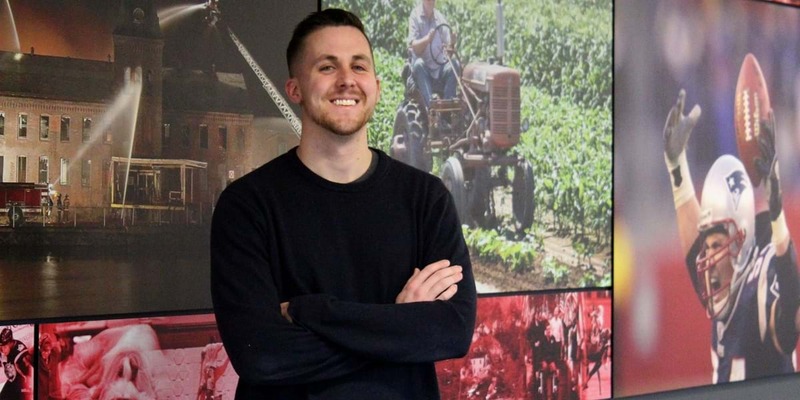 After earning a degree in writing and rhetoric with a minor in journalism from Northwestern, Thomas worked as a sportswriter for a local newspaper before he was picked up by MassLive.com, the second largest online news outlet in New England. Now he writes about the NBA and Boston Celtics and has also contributed articles to a variety of blogs on the ESPN TrueHoop Network. Why did you choose to attend Northwestern? One of the biggest reasons I decided to go to NWC was because I looked forward to taking fiction writing classes with great writers. I enjoy writing stories in many different forms and, aside from sports writing, fiction has always been the format that appealed to me. I think writers can improve across the board if they work on writing and reading a variety of different storytelling styles. Having the opportunity to learn from writers I respect—including Dr. Sam Martin who came while I was a student—was a great opportunity. What did you appreciate most about the English faculty? The professors remain interested in my career and my work to this day, long after I finished their classes. I appreciated the constructive feedback I received and their desire to help me develop my skills and make me better at what I do. Northwestern showed me how important hard work can be for me to achieve my career goals. But the English department helped me find my writing voice, which has been crucial for my success. After graduating from Northwestern, I worked as a sportswriter for the Northwest Iowa Review for a year before starting my position at MassLive. Between these jobs, I also did some freelance work and even wrote about the Celtics for ESPN. Multiple NWC classes prepared me for this kind of writing—most specifically my newswriting classes, which taught me structure for news stories as well as AP style, which is crucial for a reporter. I also got a lot out of my fiction-writing and literature classes, which helped me learn different useful strategies for telling stories. Writing for the Beacon student newspaper also helped me prepare for real-life news scenarios because you learn that one way or another, the paper needs to come out at its scheduled time. Sometimes that requires scrambling, and learning how to scramble can be a pretty crucial skill for someone in this field.